What’s the biggest challenge for employee benefits managers these days? Change! Healthcare reform, virtual workers, global expansion, Millennials. How can employers structure employee benefit programs that keep the business competitive and keep employees happy and motivated? Now, more than ever, employee benefits surveys are critical to understand employee evaluation of your benefit programs and workplace quality of life. Making assumptions, best guesses, or just going along with whatever the Fortune 500 is doing may not be the best solution for your company. Infosurv Research’s employee benefits surveys can give you the edge you need to design a benefits program that reduces costs and improves employee satisfaction – all at the same time. One of our experienced professional marketing research consultants can work interactively with you to create an employee benefits questionnaire “from scratch” tailored specifically to your information needs and strategic objectives. We can use your existing survey and prepare it to be administered to your employees. We can begin with one of our professionally-designed employee benefits survey templates and then work interactively with you to customize the survey template to your specific needs. While most employee benefits surveys are administered online, we can also administer the questionnaire by telephone, mobile devices, onsite computer kiosk, paper, or using multiple modalities, in order to achieve the highest possible response rate. 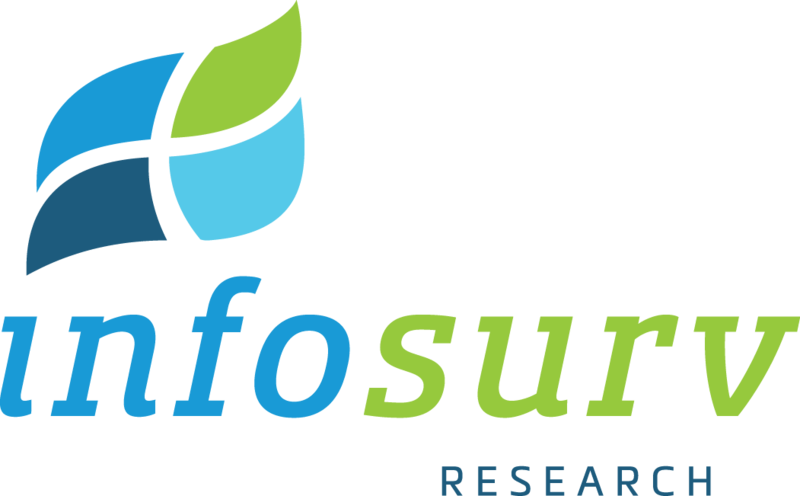 Infosurv Research utilizes rigorous research methodologies to ensure the reliability and effectiveness of all of our employee benefits surveys. Various technically advanced features can be built into our online surveys to ensure smoother operation and more complete survey results. Infosurv Research used page-level branching logic to ensure respondents see only relevant items, response verification to ensure all required questions are completed, and a save-and-resume feature to allow users to save and later resume a partially completed survey. For more detail regarding our employee benefits survey design services that we offer, please contact us. Once the employee benefits survey is designed, Infosurv Research will consult with you to determine the best security level, incentives, deadlines, and respondent notification method for your particular project. We will help you with every decision along the way, applying our experience and expertise to make the process as easy and stress-free as possible. Data security is a key concern with employee surveys. Infosurv has developed proprietary methods to protect the security of your employee benefits survey while maintaining respondent anonymity. Using our unique Personal Access Code (PAC) system, we can virtually guarantee against duplicate or unauthorized responses while maintaining 100% respondent anonymity. Infosurv Research protects employee anonymity by stripping response data of all identifying information (including Personal Access Codes) before passing the survey results to you. Over the years, we’ve identified several techniques to maximize survey response rates and effectiveness. For online employee benefits surveys, we send a personalized email invitation to each employee with simple directions how to access and complete the survey. Infosurv Research embeds each survey link with respondents’ unique Personal Access Code (PAC) and/or demographic data. This means that when the respondent clicks on their link to access the survey, we can automatically identify them, validate their responses, and even assign them to a specific demographic subgroup for analysis. In order to maximize survey response rates, Infosurv Research also sends personalized email reminders to uncompleted respondents to encourage their participation. Clients can track the results of their survey in real-time throughout the survey administration period. Our secure, real-time, 24/7 reports menu allows clients to login via a secure link and obtain their current survey response rate, review preliminary results, and even download an updated raw data file. For more detail regarding these and other unique survey administration services and technical features that we offer, please give us a call or send an email to info@infosurv.com. Employee benefits survey results data is useless without insightful analysis. Our in-house data analysis staff and senior marketing research consultants are trained to turn your raw survey responses into meaningful and actionable conclusions shown to impact positively real business metrics. Obviously, employee benefits survey results should improve employee productivity and retention rates. However, employee benefits survey results can also directly impact your customers in terms of the service quality delivered to them by your employees, your ability to maintain your brand position, and the ease with which your employees accept and adapt to change. Our standard analysis reports are designed to provide a variety of statistical, graphical and verbatim results summaries, all “cut” by relevant respondent subgroups. Infosurv Research also offers a variety of custom analysis solutions including banner reports, custom Excel spreadsheet reports, significance testing, manual coding of qualitative responses, and other special requests to meet each client’s needs. For more detail regarding the various analysis packages that we offer, please give us a call or send an email to info@infosurv.com.